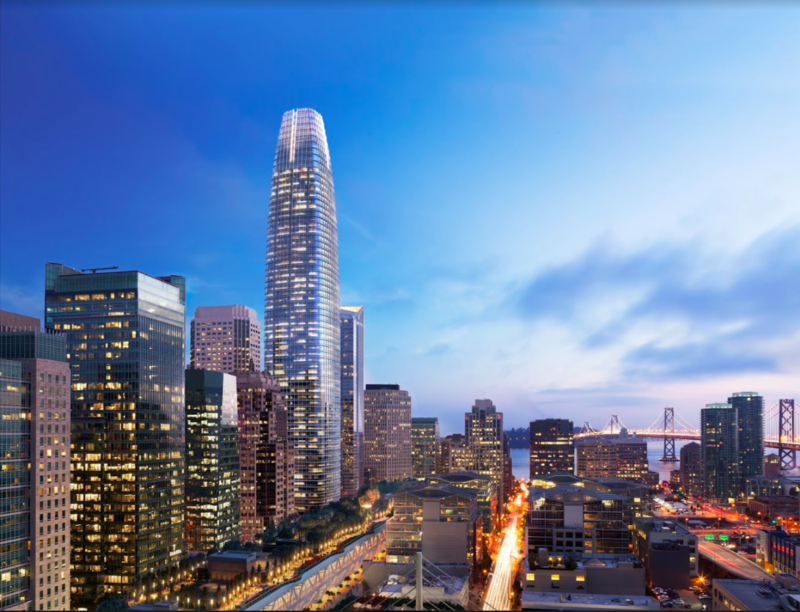 At 61 stories high, the new $1.1B Salesforce Tower in downtown San Francisco is the tallest building West of Chicago. Touted as the new vision for today’s workforce, the building features beautiful architecture and design, but what’s most interesting is the interior and how Salesforce has designed its office space. RICH LTD. had the opportunity to design and manufacture a fixture that has become part of the office décor in the building, hence our interest in the design of the space. Salesforce’s new offices not only provide a fascinating look into design trends and the cultural environments that some of the world’s most successful companies are trying to create, but it also provides an interesting social commentary on where we are as a society, where we are headed, and what today’s employees value. For retailers, the Salesforce Tower provides 10 design lessons that offer valuable insights into how store environments might evolve to offer greater appeal to customers. 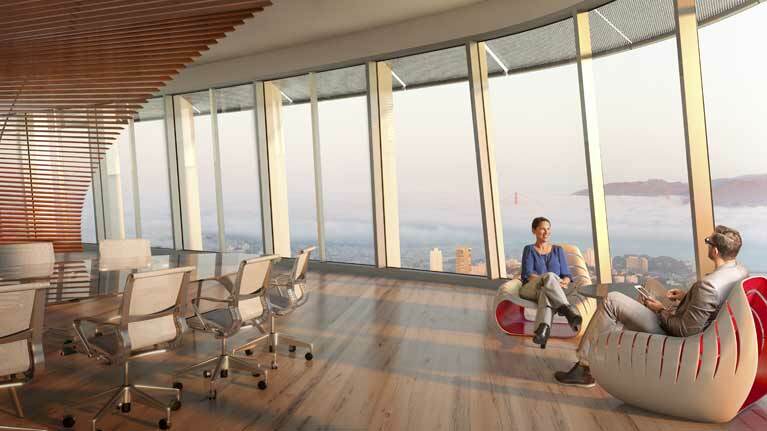 For an inside look at the Saleforce Tower, check out https://www.salesforce.com/blog/2018/01/a-look-inside-salesforce-tower.html. 1) Environmentally Conscious- The Salesforce Tower is the highest rated v4 Platinum (commercial interiors) project in the U.S. and features the largest and most innovative water recycling system in a commercial high-rise building. While retailers may not need to go overboard, developing store interiors that incorporate a lot of natural wood, for example, might help to communicate a sense of environmental responsibility that is likely to make the retailer appear hip, socially conscious, and sensitive to the concerns of customers who care about the environment. 2) Convenience- The companies that have most successfully disrupted established industries have done so by improving convenience- think Amazon in the retail industry, Uber in the transportation industry, and Apple in the music industry, just to name a few. Convenience continues to be a key sticking point for retail brick and mortar stores. The Salesforce Tower addresses the convenience factor in a number of ways. For starters, the tower is built adjacent to the Salesforce Transit Center and Park, a state-of-the-art transportation hub that will be a landing spot for the future high-speed rail from San Francisco to Los Angeles. Not only does the transit center make it easy for employees from the surrounding areas to get to work, but it features a 5.4-acre rooftop park that includes jogging trails, an outdoor amphitheater, a café, a restaurant and more. Inside the tower, every 3 floors of Salesforce’s offices are connected by easily accessible stairways to make it convenient for employees to move from floor to floor. Like Salesforce, retailers can be intentional about creating store environments that make shopping easy and convenient- from accessible parking to easy in-store navigation and seamless checkout. 3) Technology-Enabled- As you might expect, Salesforce’s offices are tricked out with technology. 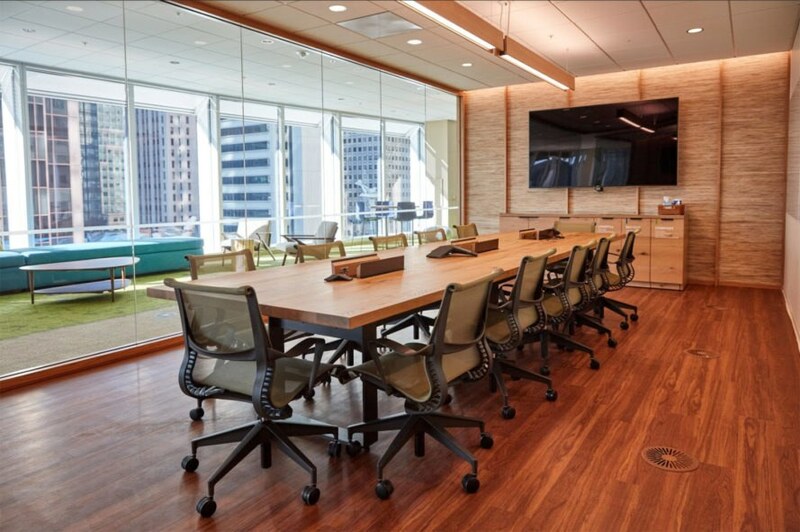 Conference rooms are wired for global communications, and each floor features digital screens that communicate Salesforce news, photo galleries, and customized content for the team by individual floor. Retailers can woo customers by creating store environments that leverage technology to improve convenience, assist in the shopping process, provide entertainment, and create a cool vibe. 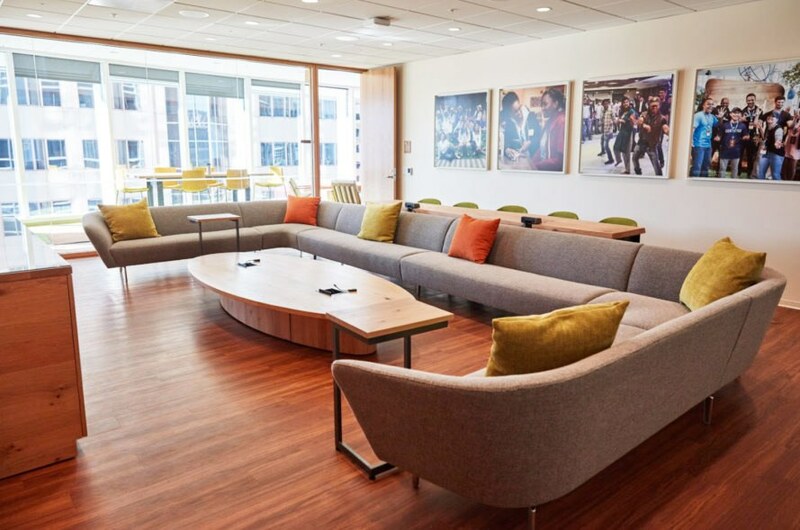 4) Social/Collaboration/Community- Salesforce’s offices are designed to promote collaboration, social interaction, and community among its employees. 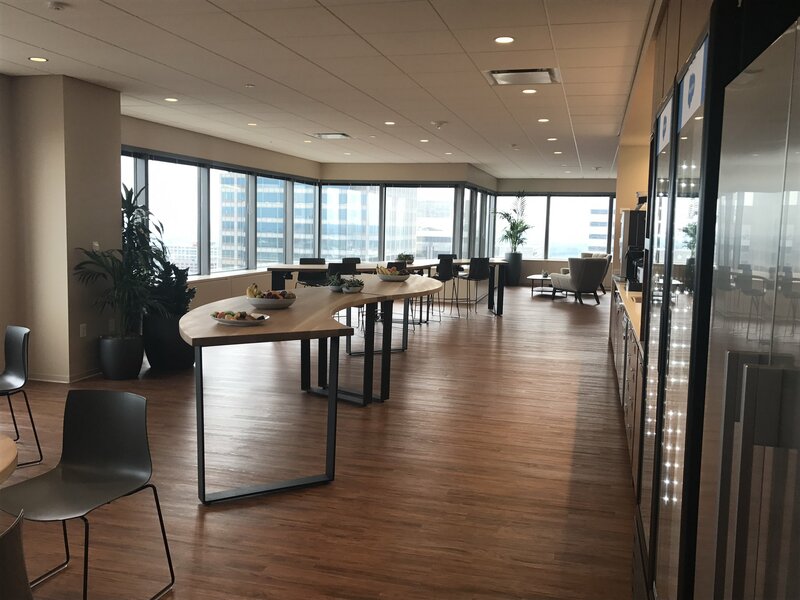 Every floor has a social lounge which combines kitchen, dining, and living room features into a comfortable environment where employees can hang out, meet with colleagues, snack, and take a break. Social lounges are just one of the many types of community spaces that are designed to foster communication and collaboration. What Salesforce has effectively done is to create an environment that is cool and where people want to congregate. Retailers can create store environments that offer a similar experience by carving out areas that promote social interaction and invite shoppers to relax and have a cup of coffee. If done right, it can attract shoppers and be impossible for online retailers to duplicate. 5) Open Spaces- Most retailers are all about space utilization and tracking metrics like sales per square foot. While this mentality may have served retailers well in the past, it may become less relevant in the future. It is difficult to create a cool environment that attracts shoppers when every inch of a store is jammed with product and the store feels cluttered and chaotic. Creating a relaxing, positive shopping experience might mean devoting some amount of floor space to open areas, lounge areas, and places where shoppers can relax. Saleforce has accomplished this by including lot of open spaces and areas that let in natural light. 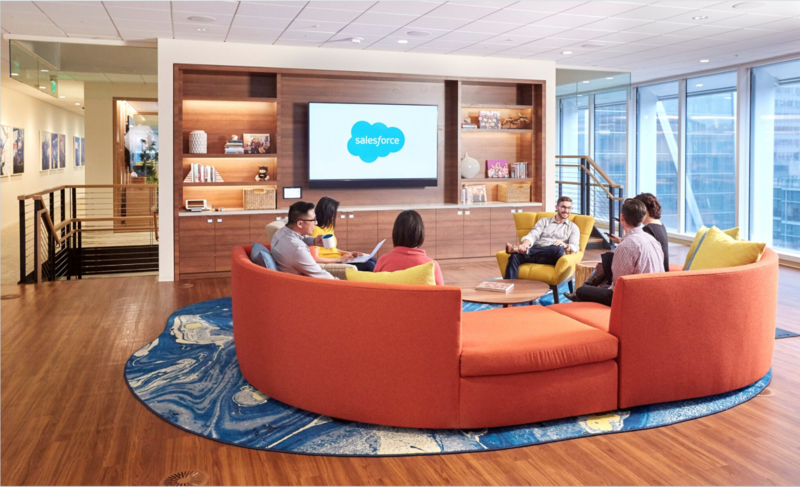 6) Flexible Space- Salesforce’s offices are flexible and configurable. Their office furniture is ergonomic, and their workstations are adjustable. Workspaces can be easily reconfigured to improve collaboration and communication. Employees have the option of sitting or standing at work, which has been shown to enhance productivity and creativity. (Note: We have incorporated sit/stand desks into our work environment and can testify to the benefits. We get our beautiful, environmentally friendly bamboo sit/stand desks at standeeco.com.). Retailers can follow suit by creating flexible and highly configurable spaces that can keep the store environment fresh and inviting for patrons. 7) Creativity- Saleforce is big on promoting creativity among its employees, and their office space is specifically designed for that purpose. The biggest driver of creativity in their office design seems to be the relaxed, casual, and collaborative environment that they have been able to create. Creativity happens when people are relaxed, happy, and can feed on each other’s ideas. By the same token, these design elements can be incorporated into retail store environments to create a more inviting and relaxed atmosphere where shoppers are feeling creative and empowered in their shopping experience. 8) Color and Fun- Incorporating color and fun were also design objectives for Salesforce’s offices. Employees, like shoppers, want to have fun at work or when shopping, and it’s well documented that color can be used to enhance mood, increase energy and improve productivity. 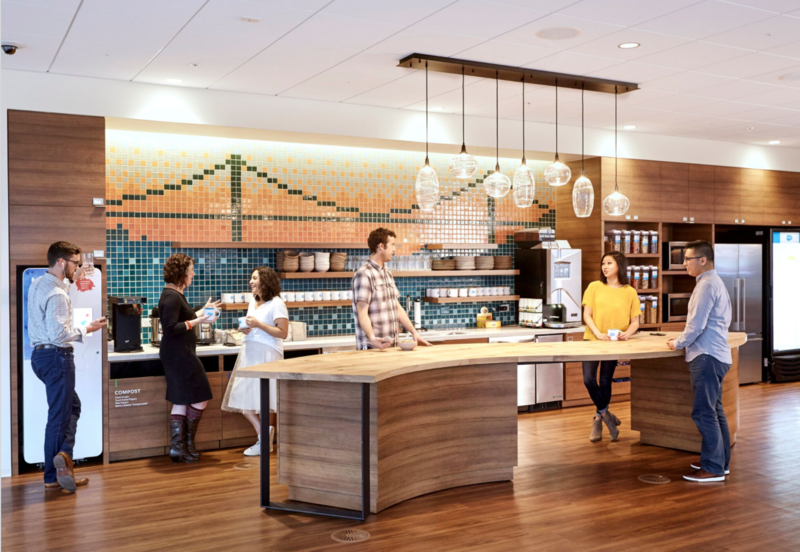 9) Indulgence- Salesforce indulges its employees in many ways by virtue of its office design. Every floor has mindfulness zones and dedicated space for employees to find peace and recharge. Employees who get stressed out when their Excel spreadsheet isn’t formatting correctly or who lose focus when they discover their takeout lunch order was short a sushi roll can retreat to one of the mindfulness zone to get re-grounded. While it may be difficult for retailers to justify dedicating space to mindfulness zones, it could very well make sense to design store environments to indulge shoppers by offering in-store cafes and pampering stations since this seems to be the new rage. 10) Privacy- In designing its office space, Salesforce has carefully considered all of the needs of its employees. Every other floor has a parent’s room exclusively dedicated to parents who need privacy to deal with issues related to their kids. Say, for example, you need to place a private call to little Trevor’s soccer coach to find out how many more private lessons are required for him to become a starter. These private and secure parent’s rooms are must-haves for managing these types of issues, particularly when they could jeopardize a child’s self-esteem. They also make a great place to escape from those annoying collaborative environments to check your Twitter feed or log some time on social media without your colleagues making you feel guilty. When it comes to privacy, retailers will undoubtedly need to think beyond dressing rooms.